Goss debuted at the Bathurst 500 in 1969 driving a McLeod Ford (with its distinctive yellow/black chequer windscreen strip) sponsored Ford Falcon GTHO, but Goss’s co-driver Dennis Cribbin crashed the Falcon at Forrest Elbow. In 1970 John Goss posted the fastest lap during the Bathurst 500 in his XW Falcon GTHO Phase II. The following year Goss won two rounds of the Toby Lee Series at Oran Park against such opposition as Colin Bond and Fred Gibson. Goss won the 1972 South Pacific Touring Car Series and the 1972 Sandown 250 endurance race, both in Series Production Ford XY Falcon GTHO Phase III’s. He also put his Falcon on the front row of the grid at the 1972 Hardie-Ferodo 500, qualifying second fastest behind the Works GTHO of expat-Canadian Allan Moffat. Engine failure after splashing around for 24 wet laps ended Goss’ race. 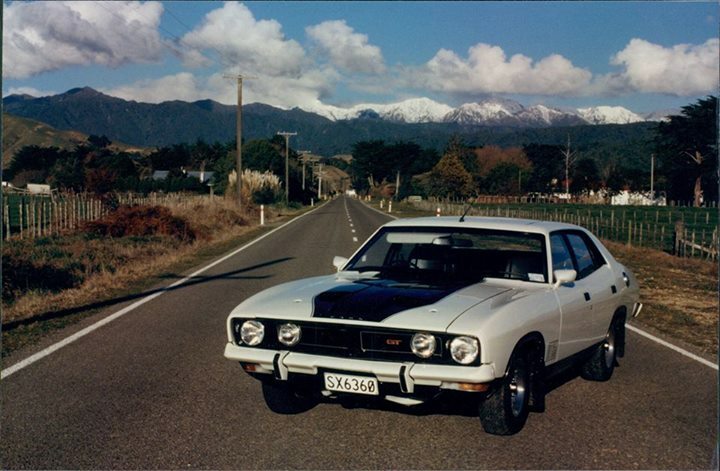 With the Series Production class being replaced by the new Group C Touring Car class in 1973, Goss was the first driver to develop and race the new Ford Falcon XA GT Hardtop. Unlike Series Production, the new Group C rules allowed considerable modifications. Goss obtained sponsorship from Shell and Max McLeod, a prominent Ford dealer in Rockdale, New South Wales — known for his “Horn cars” — as well as obtaining factory assistance from Ford Australia, who provided Goss with purpose-built XA racing chassis. Goss was actually the first to race the XA Hardtop in the 1973 ATCC, even before the Works team who used a modified Phase III GTHO and didn’t make the switch to the Hardtop until the Endurance races later in the year. Goss and Kevin Bartlett teamed up for the 1973 Hardie-Ferodo 1000 at Bathurst and qualified on pole position with a time of 2:33.4 (it was to be Goss’ only pole at Bathurst) ahead of the GTR-XU1 Holden Torana of Peter Brock and Doug Chivas. Goss started and built up a good lead which was kept until he was involved in a crash at The Cutting which damaged his front end. The Falcon suffered radiator damage which later caused its retirement on lap 110 of the now 163 lap race (prior to 1973 race distance was 500 miles and ran only 130 laps. The pair returned to Bathurst for the 1974 Hardie-Ferodo 1000 in the same car — repainted from yellow to blue after losing Shell as their major sponsor — and proved to have the reliability needed to last through a race marred by driving rain, finishing first. 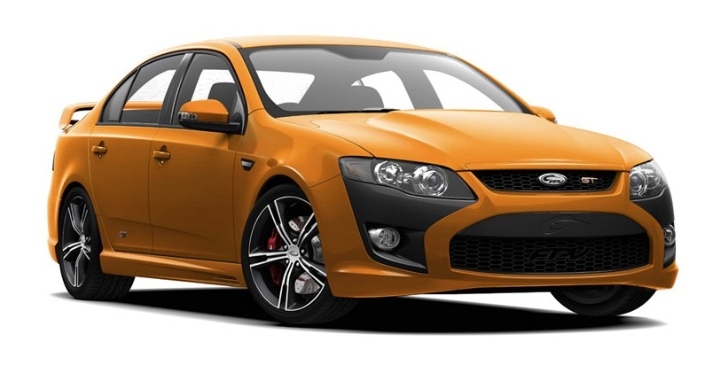 To celebrate the victory, Ford Australia released a limited edition XB Falcon Hardtop in 1975 called the John Goss Special. 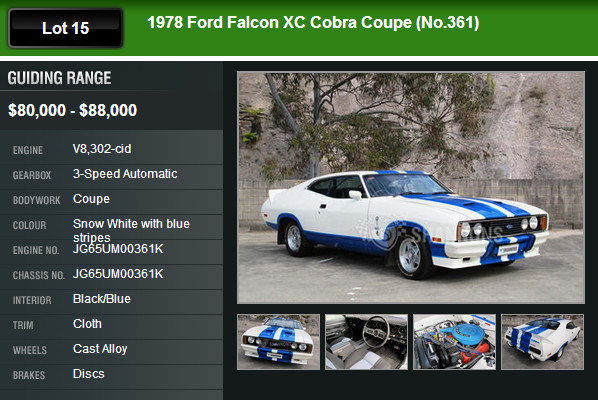 Actual production numbers of these cars were never released by Ford, but estimates range anywhere between 260 and 800 — they are now considered collectible.